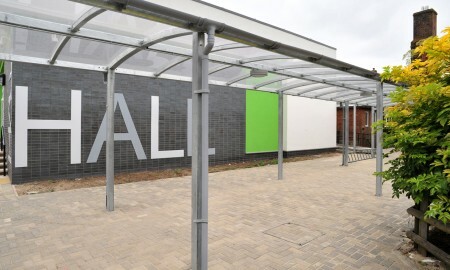 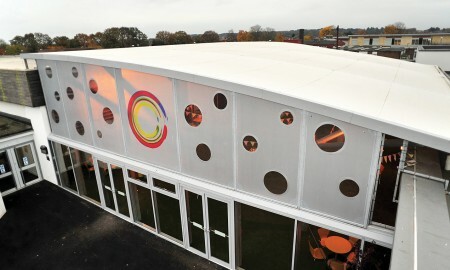 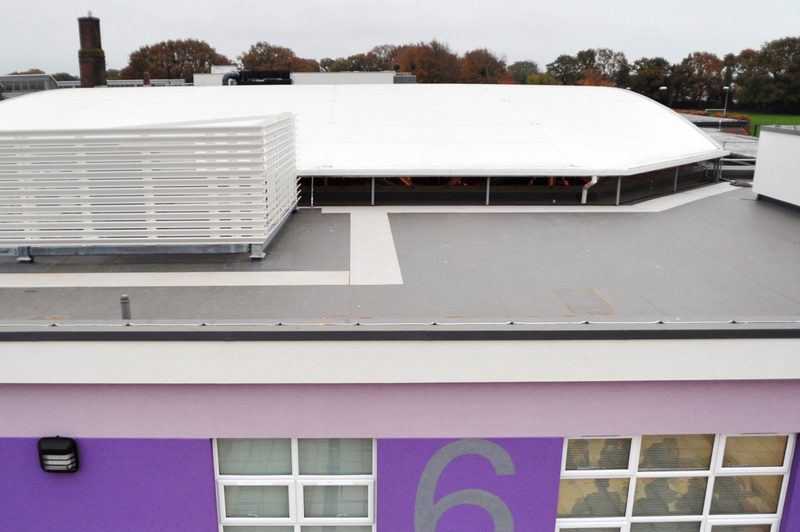 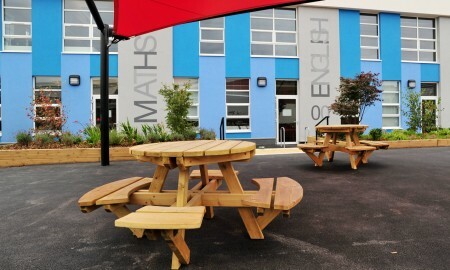 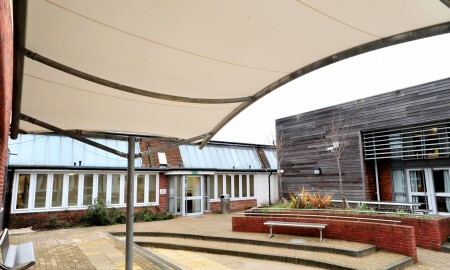 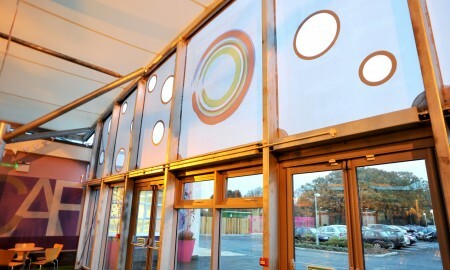 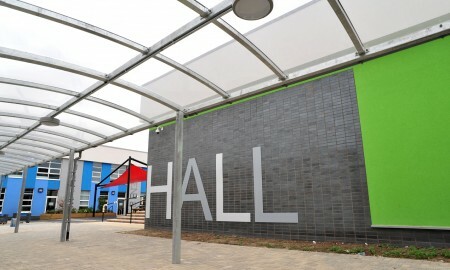 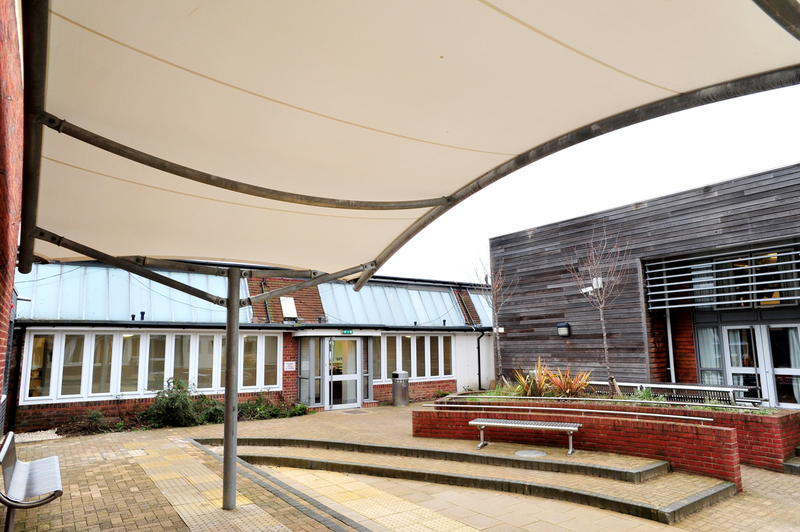 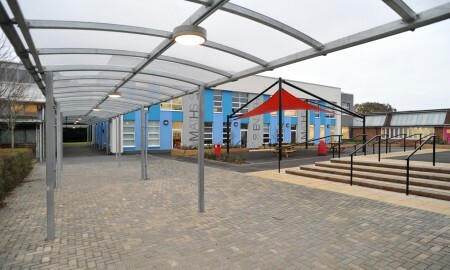 The Bourne Academy, Bournemouth was to undergo a £10 million renevation, a project that would include many newly constructed areas. 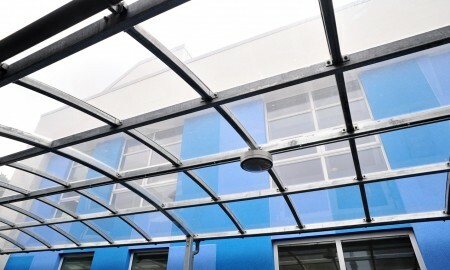 The building was dreary and outdated, and to create an aspirational environment, to inspire students to achieve, it was necessary to greatly improve the facilities. 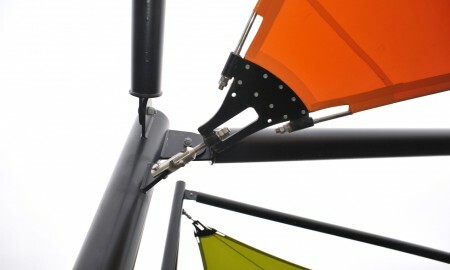 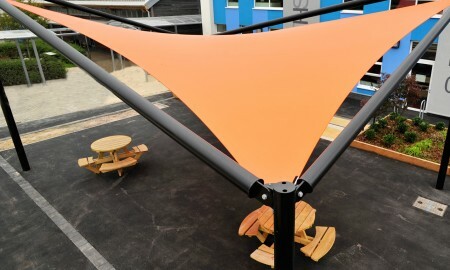 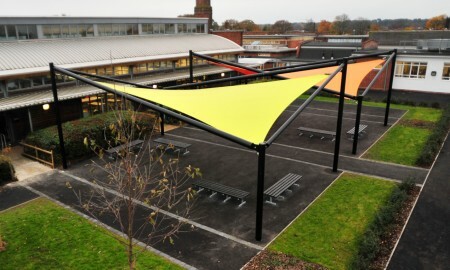 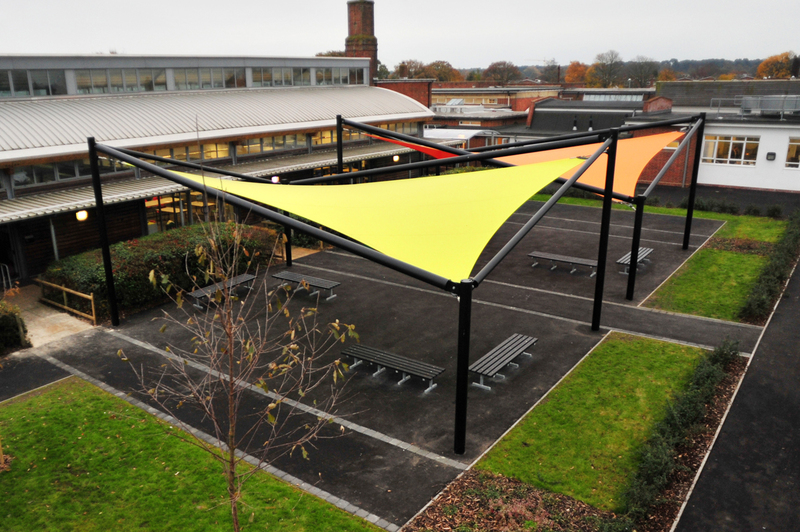 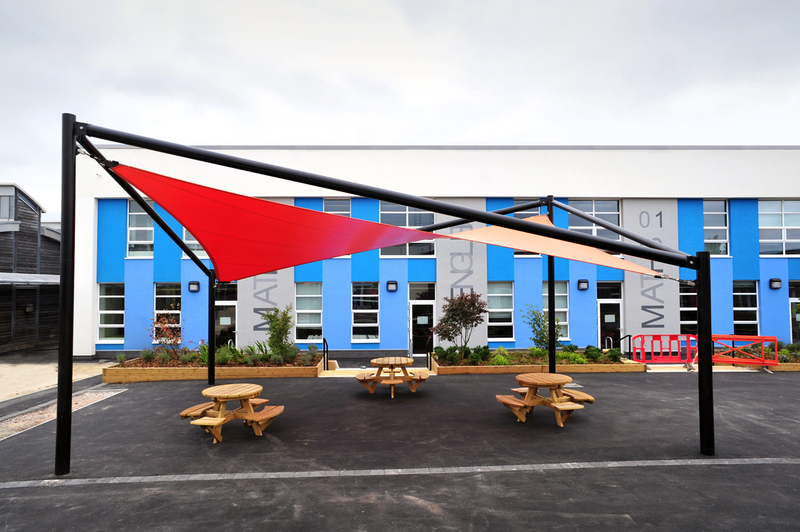 The main part of the brief was to cover an area surrounded by 3 buildings with a tensile canopy. 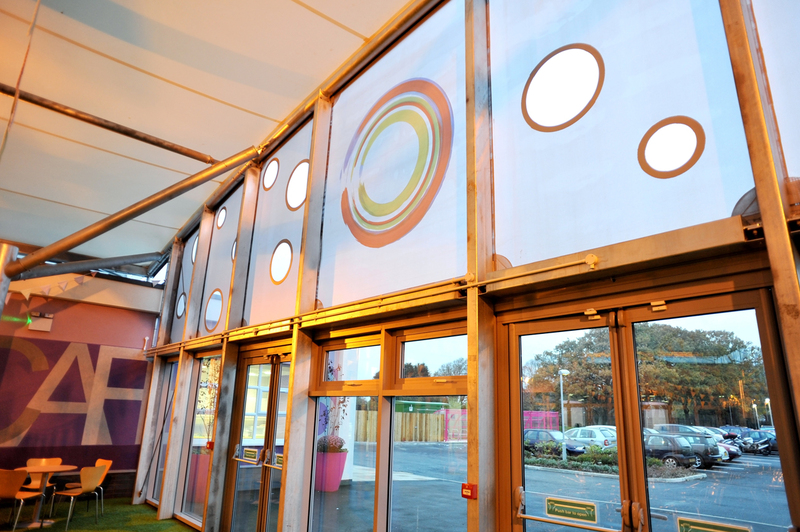 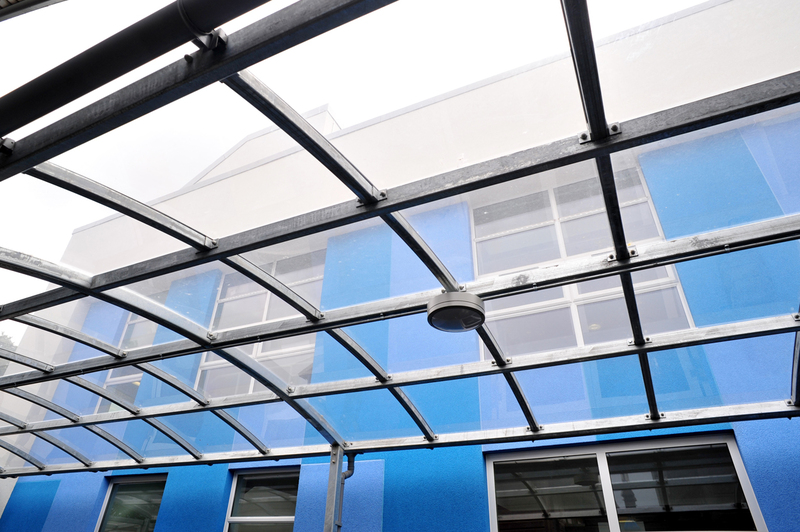 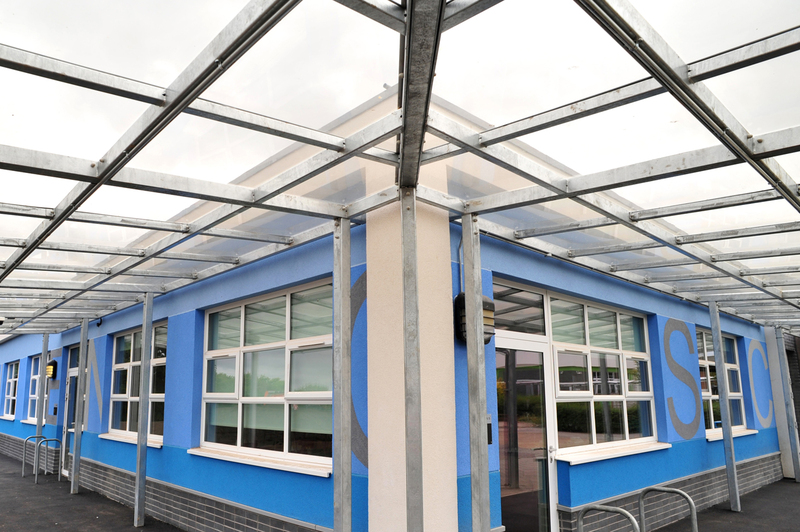 Curtain walling was required to the open side, along with fabric side sheets incorporating clear windows and a printed logo of the school. 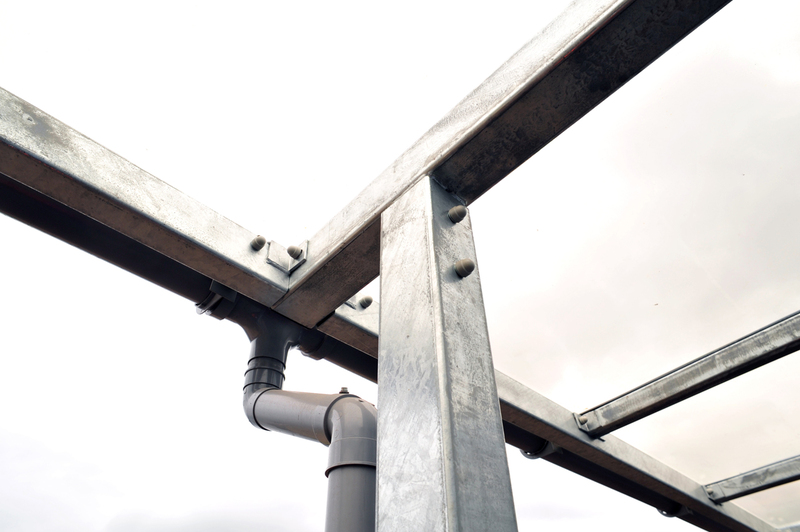 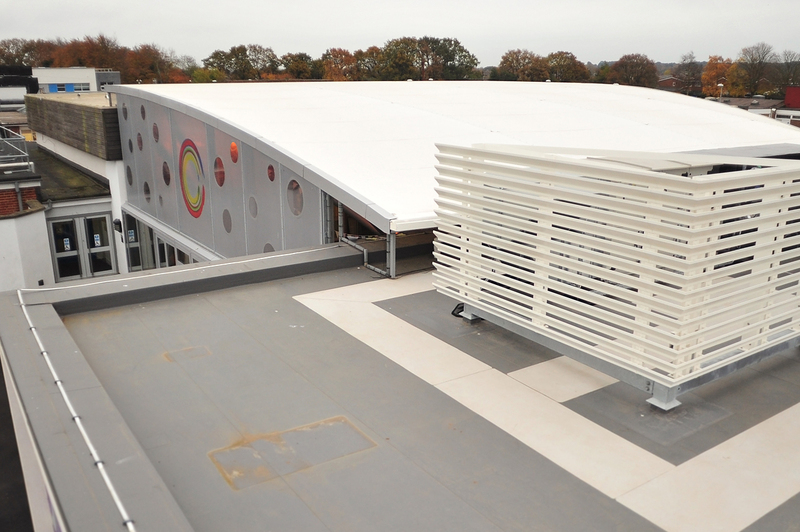 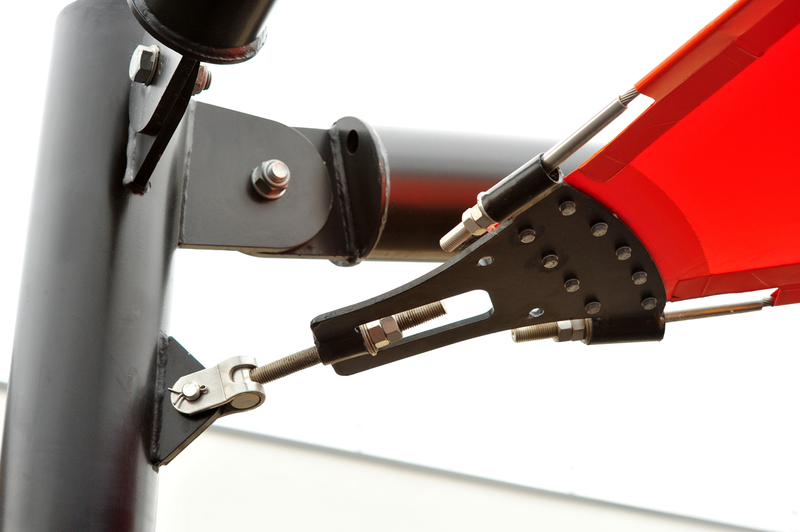 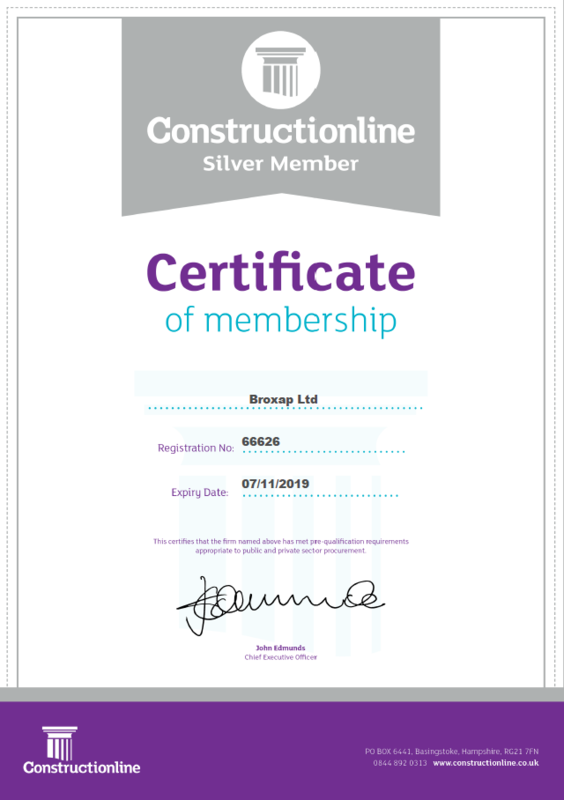 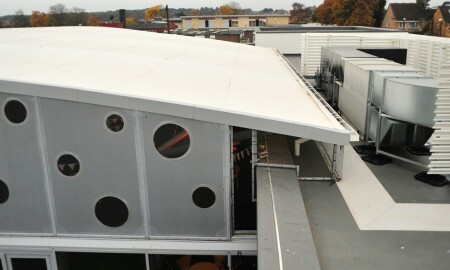 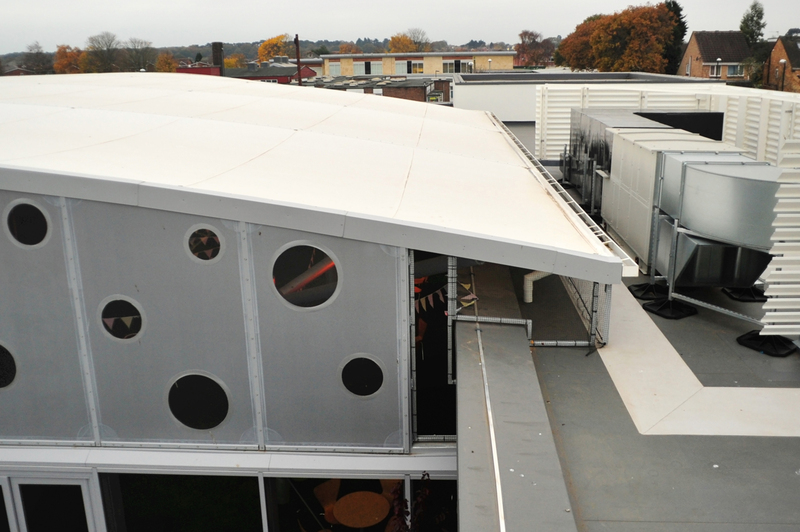 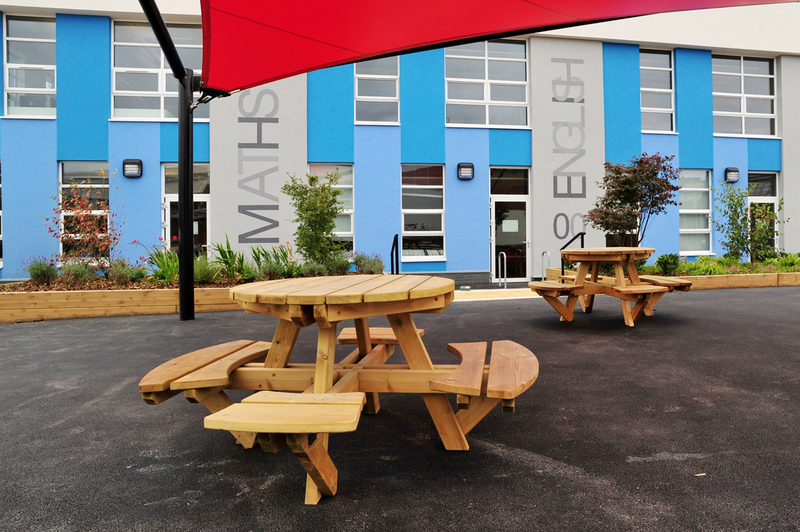 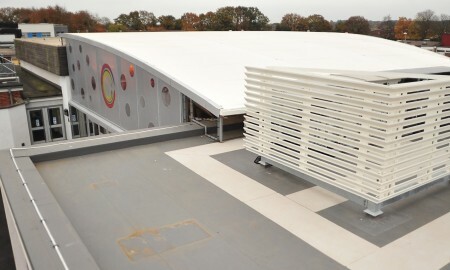 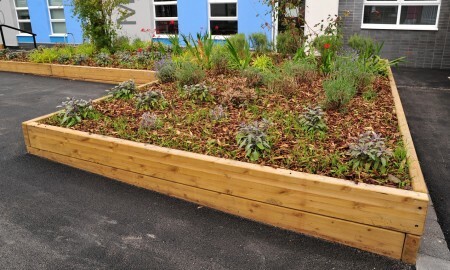 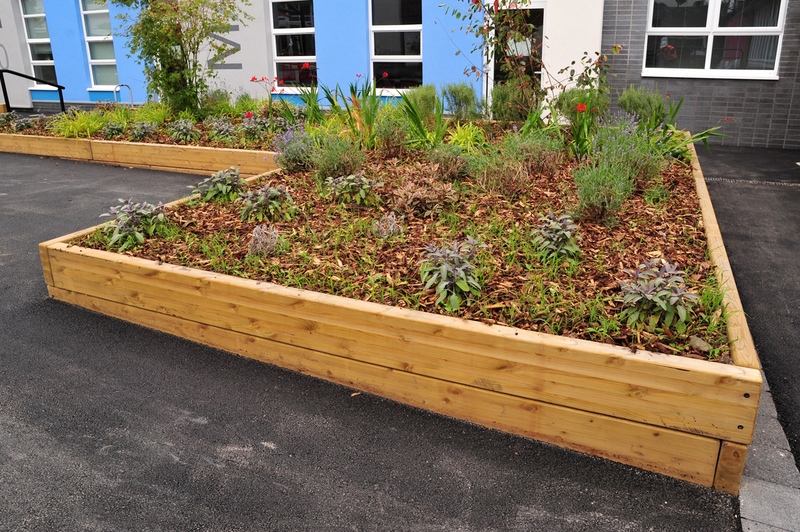 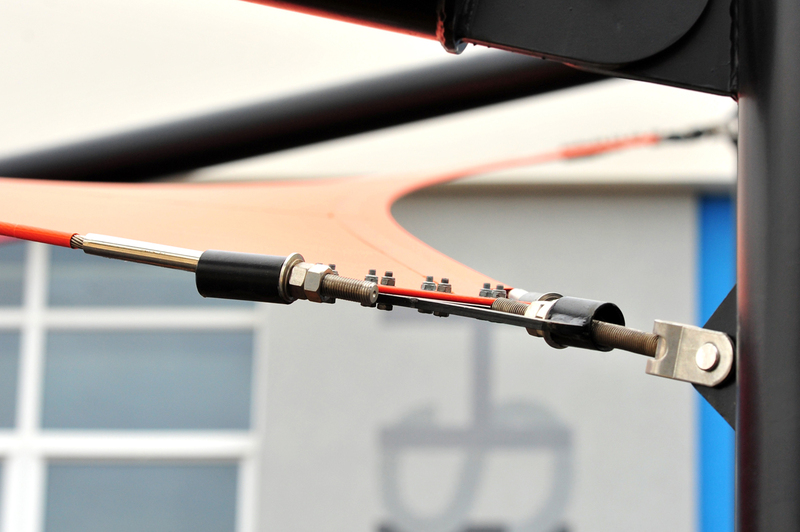 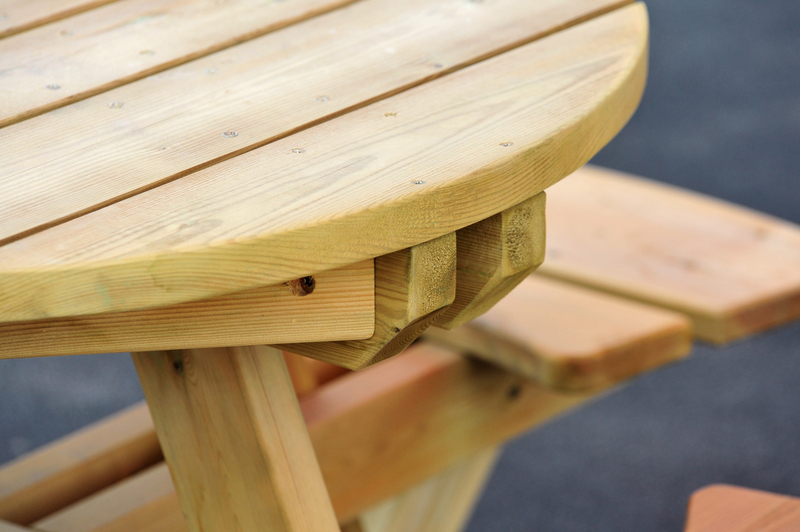 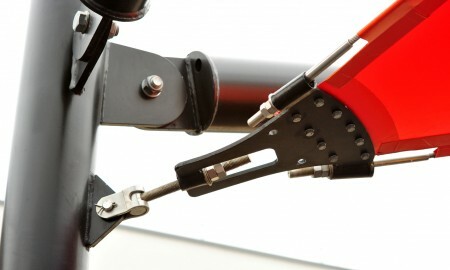 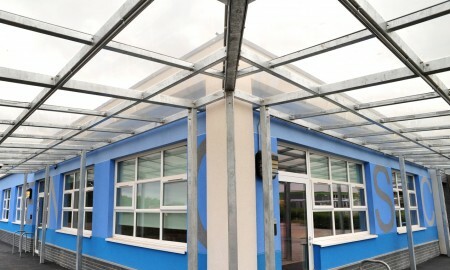 Broxap Ltd was successful in tendering to supply a range of its products throughout the Academy. 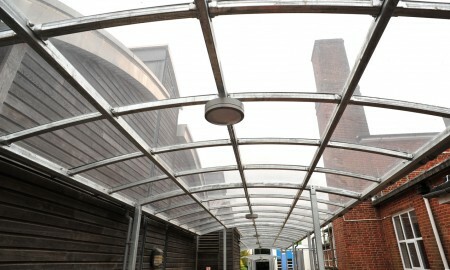 Working with its designers, the client and the architect, Broxap developed a suitable scheme. 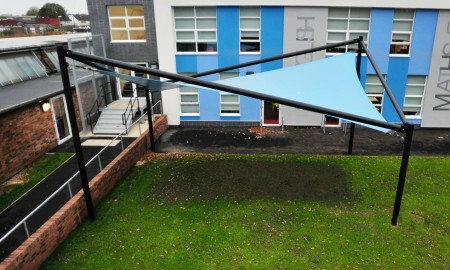 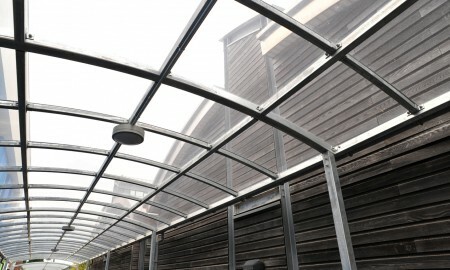 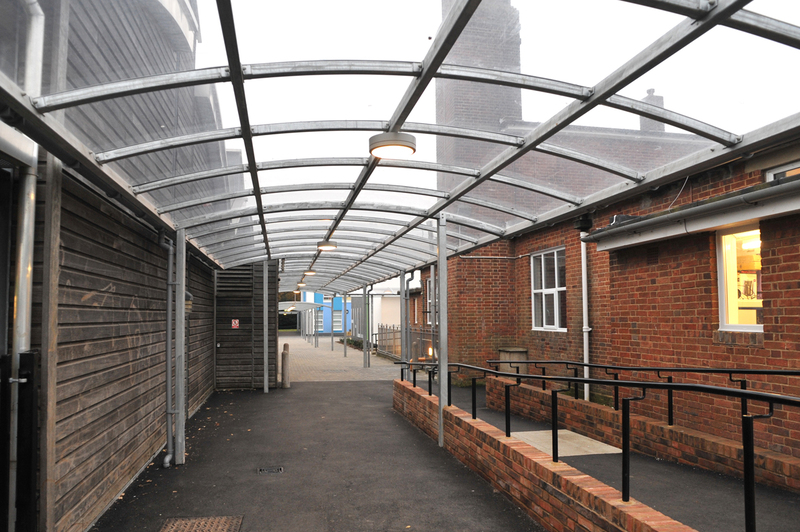 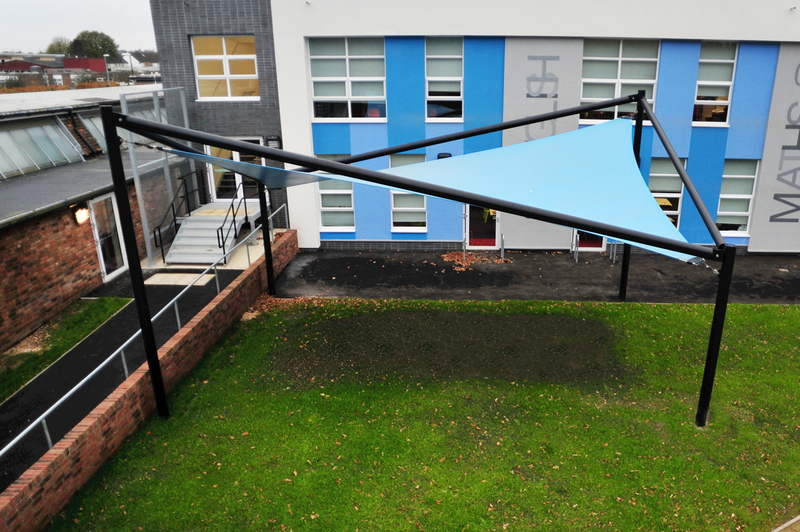 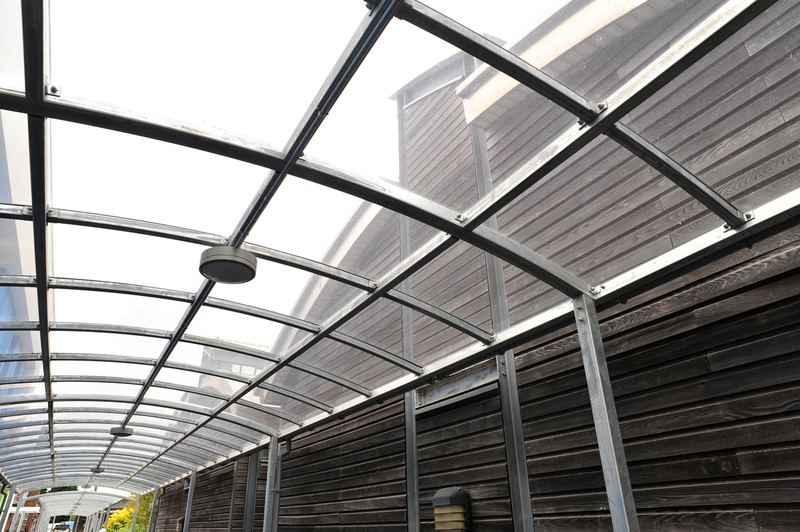 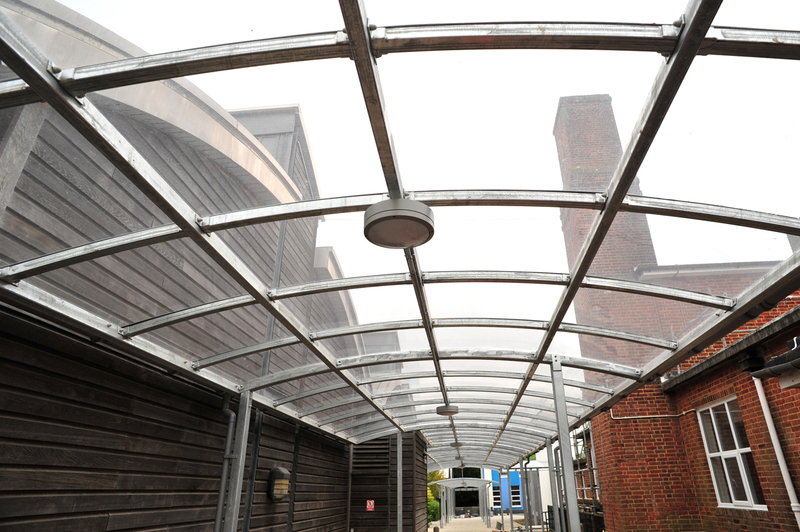 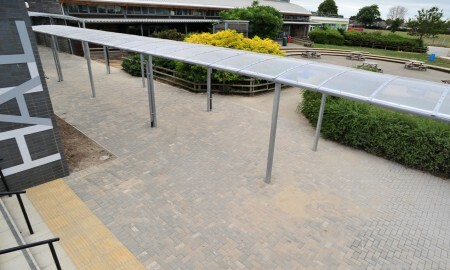 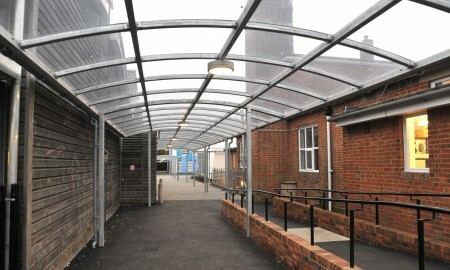 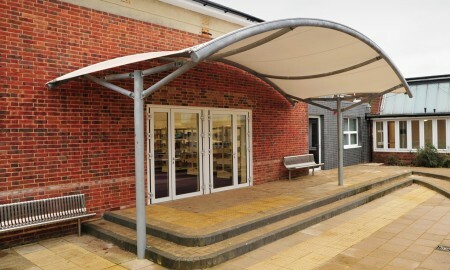 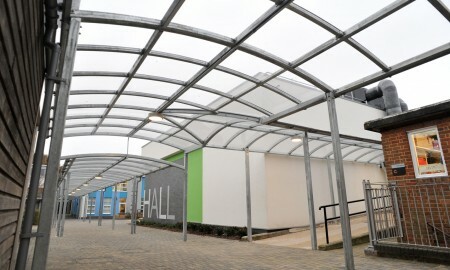 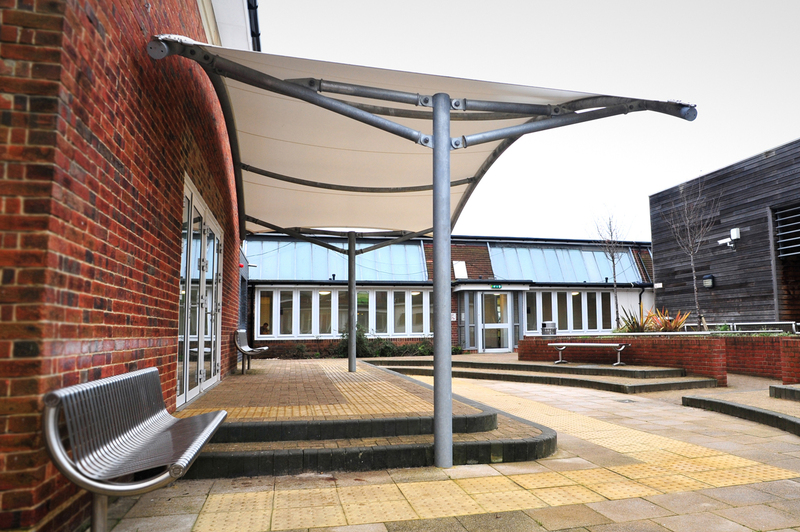 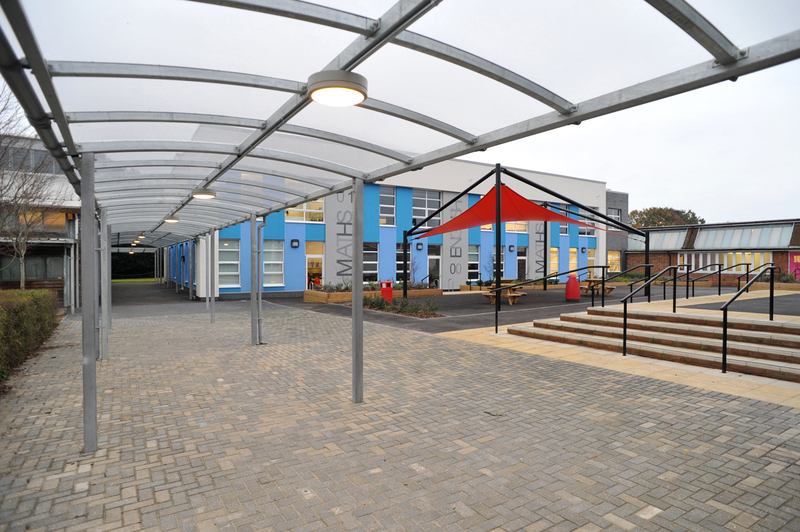 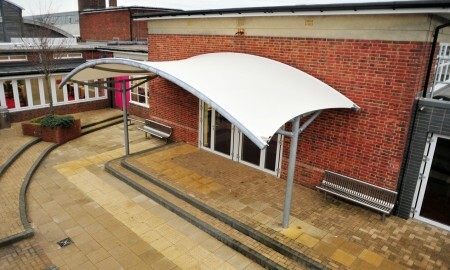 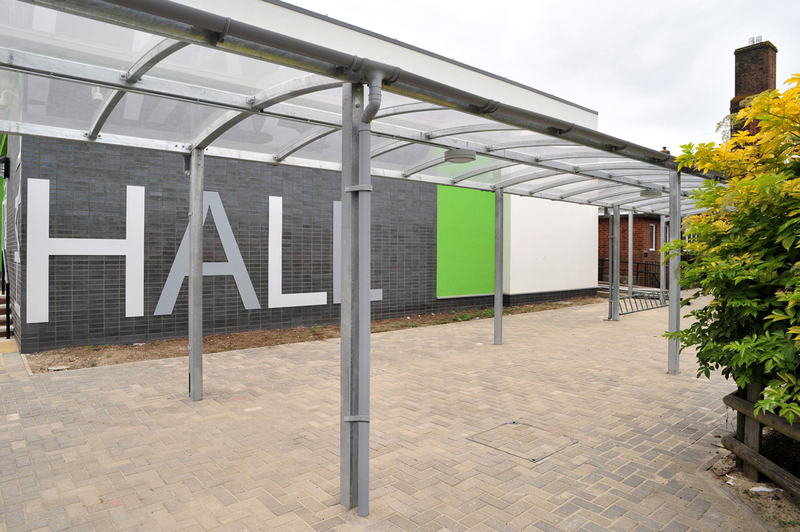 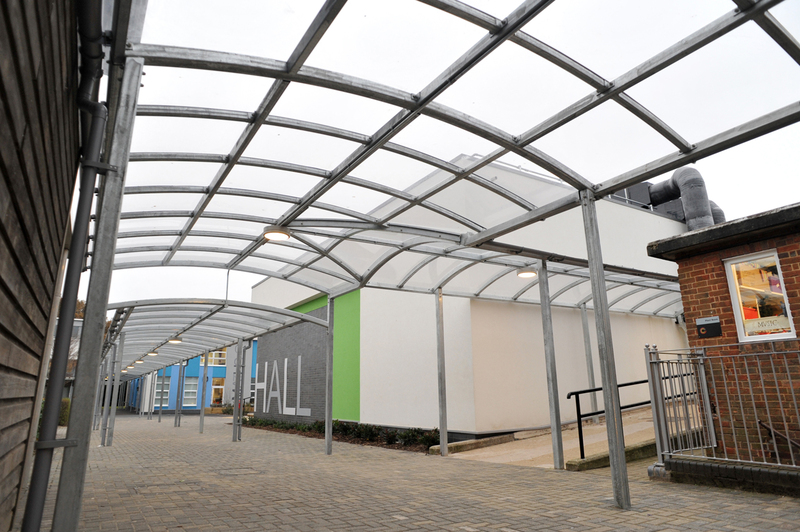 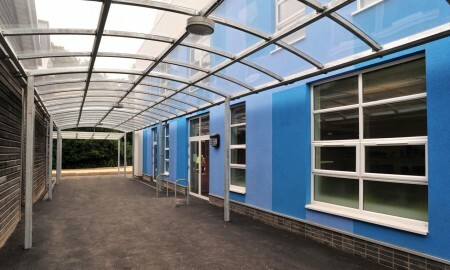 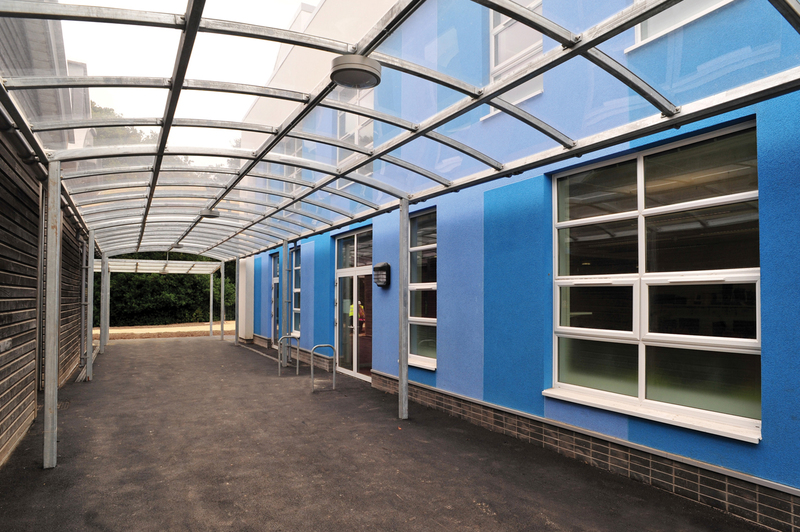 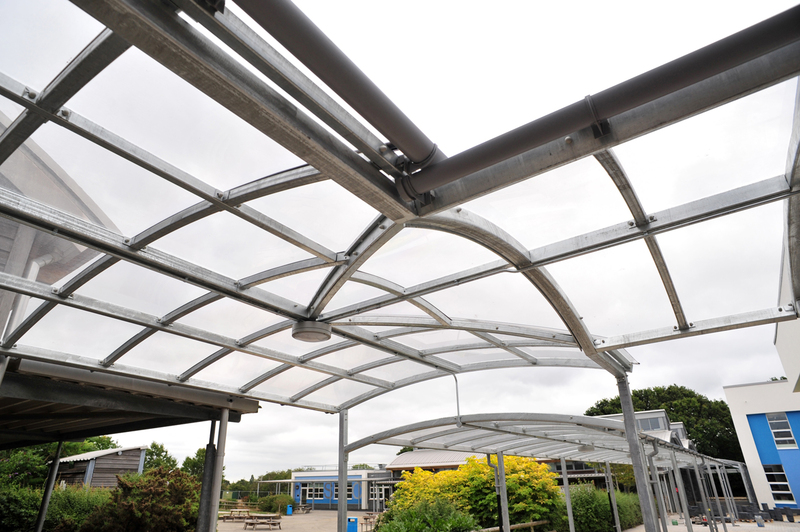 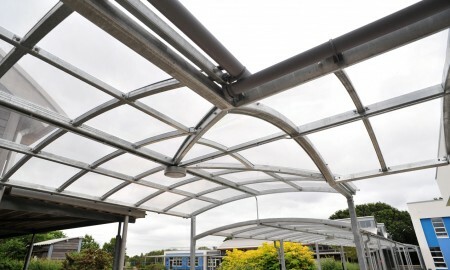 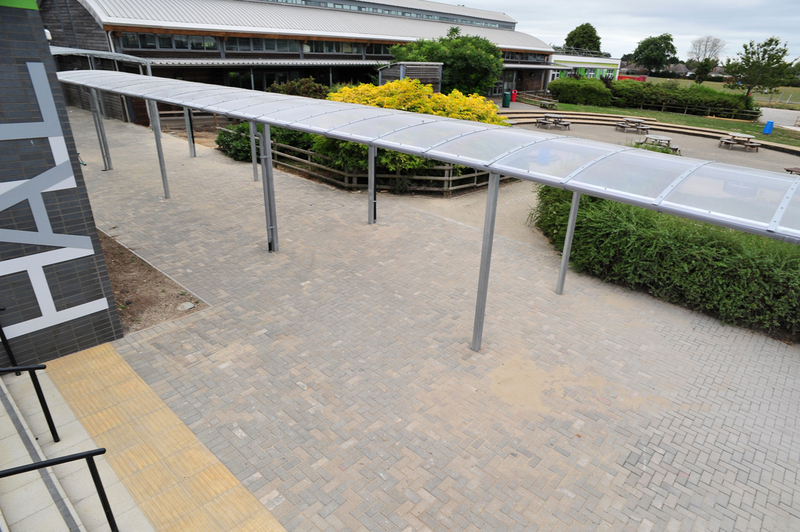 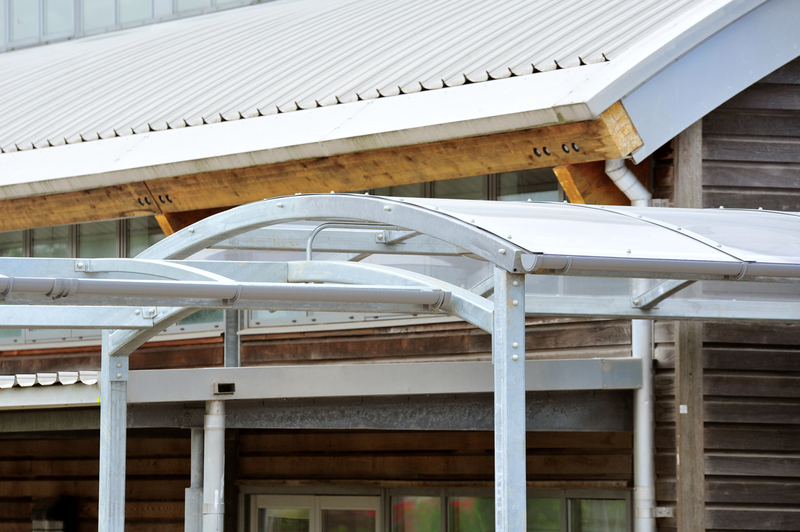 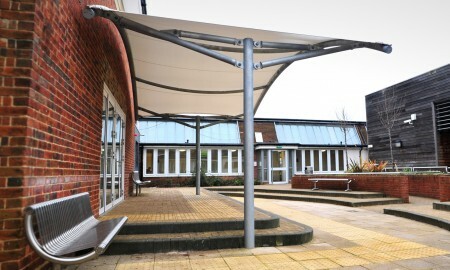 Products included several Newcastle Senior mono-pitched covered walkways and Newcastle Senior symmetric walkways. 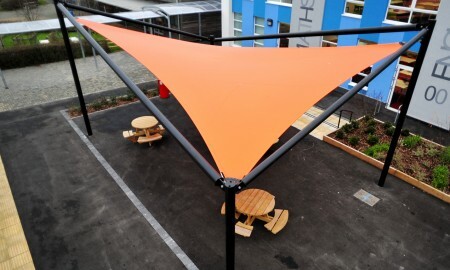 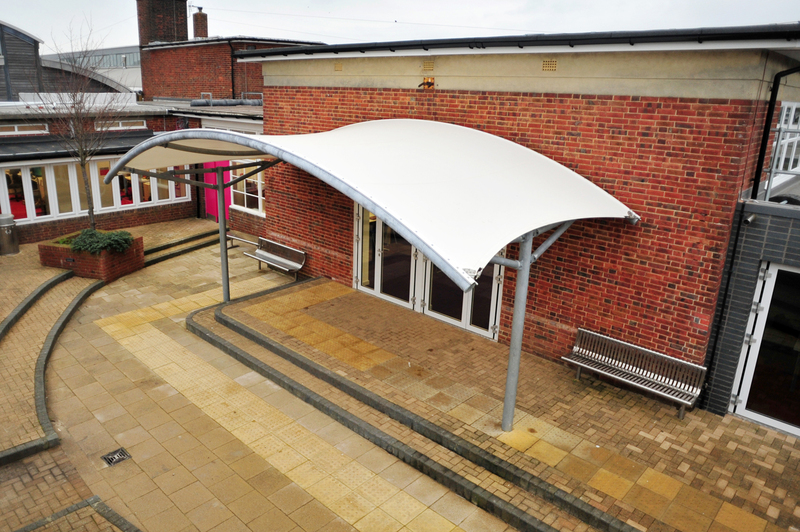 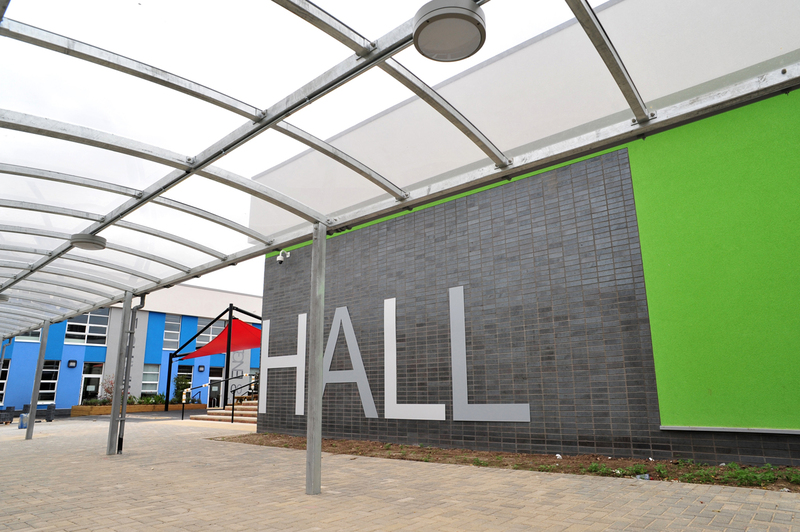 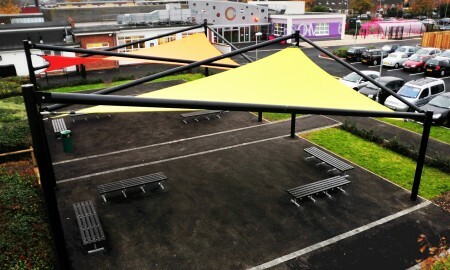 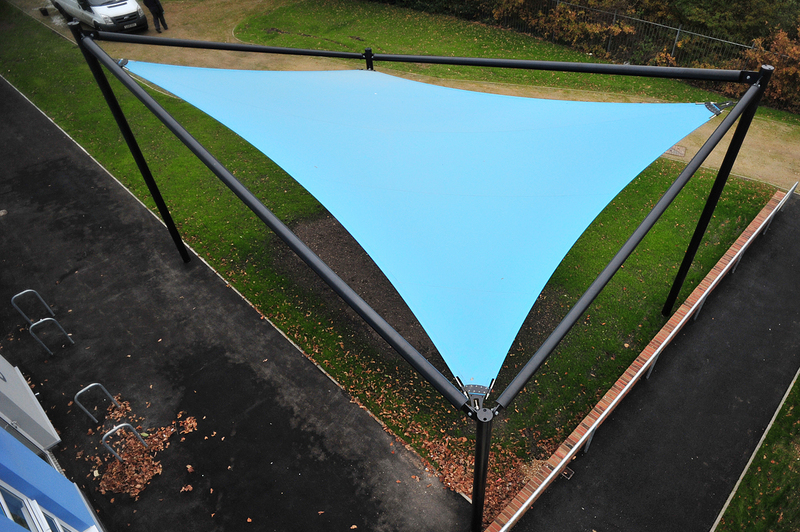 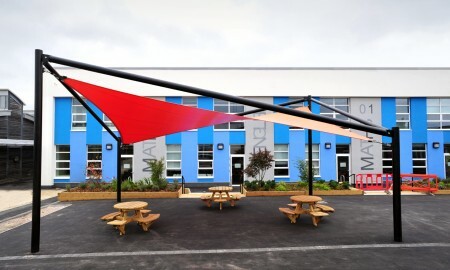 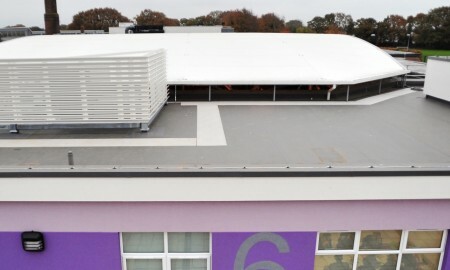 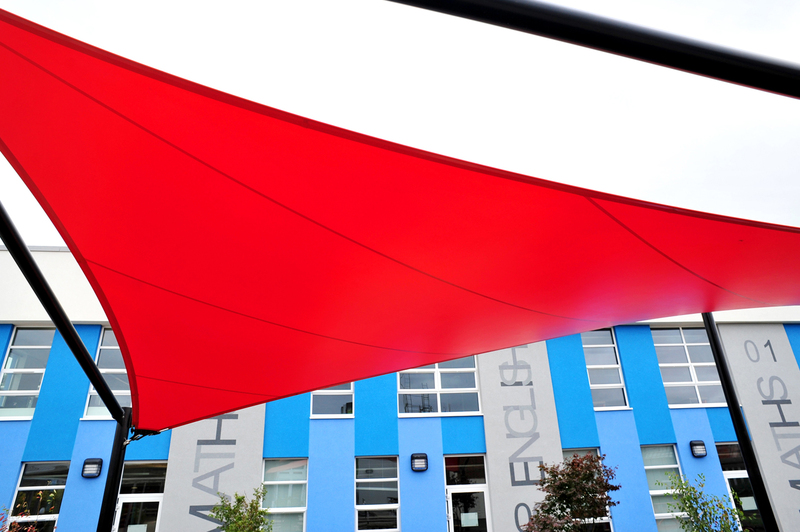 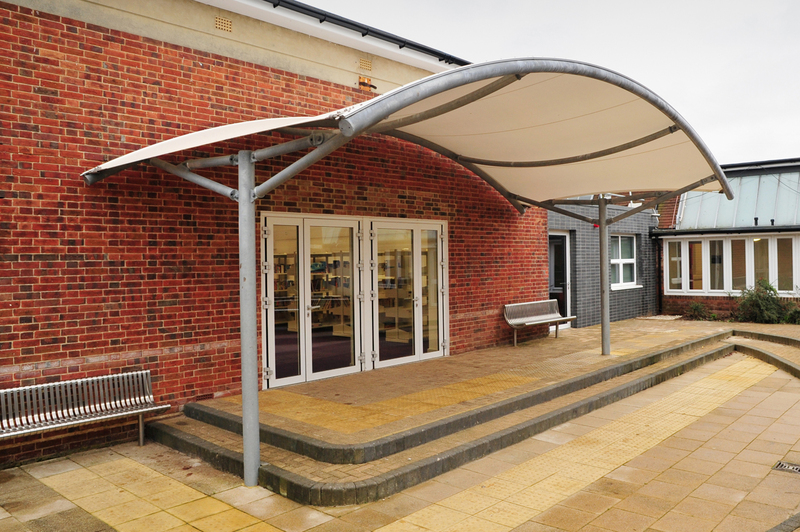 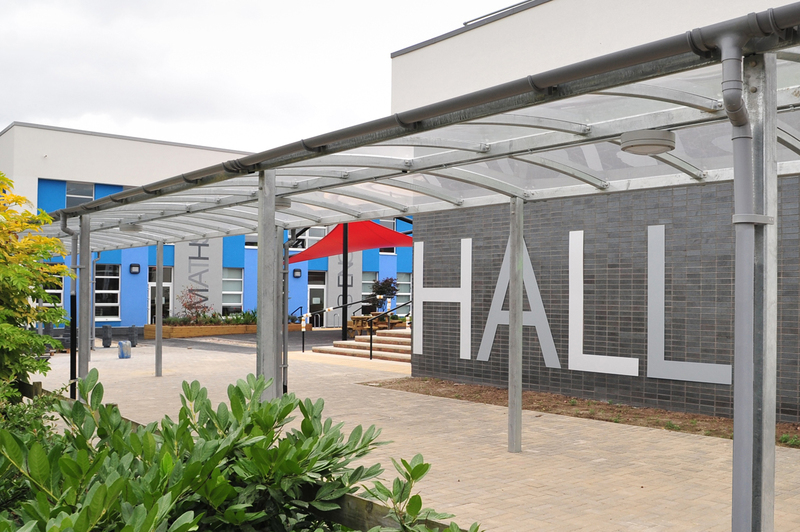 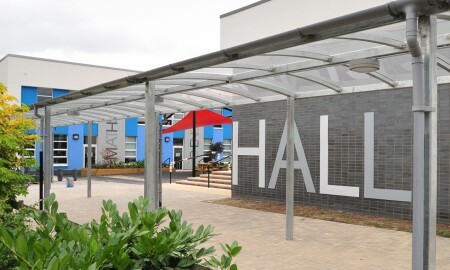 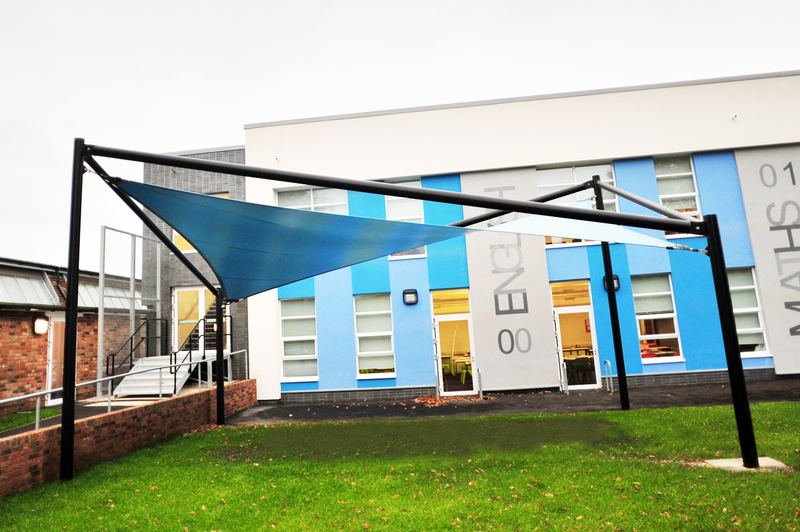 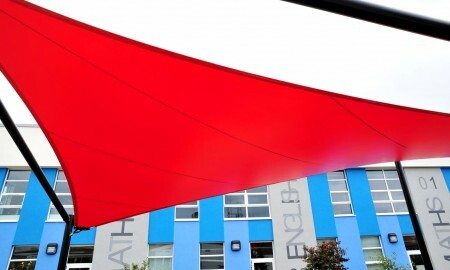 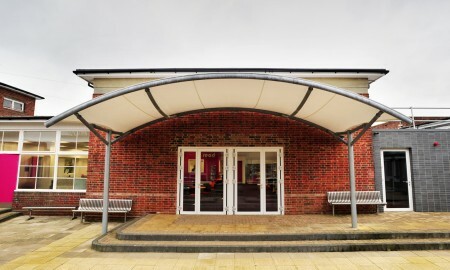 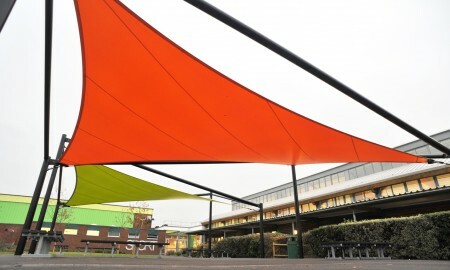 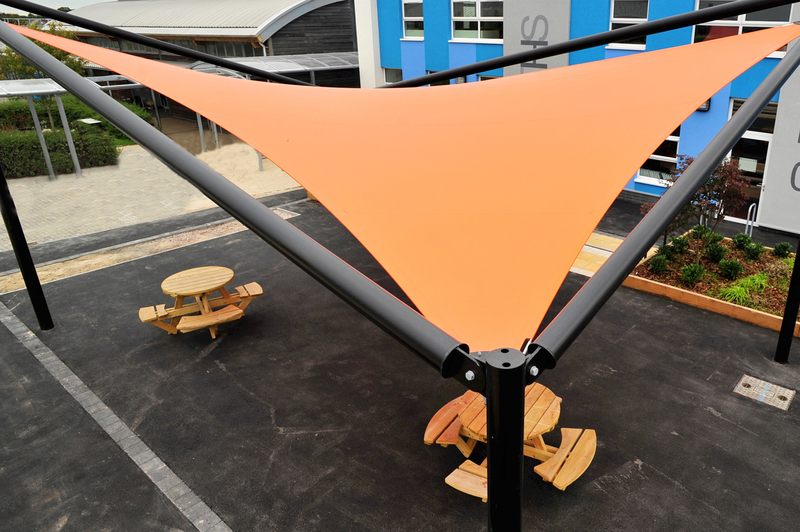 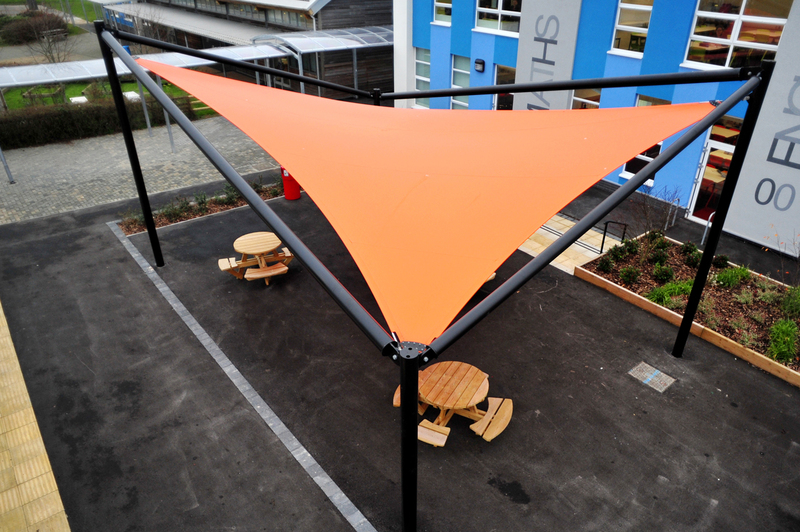 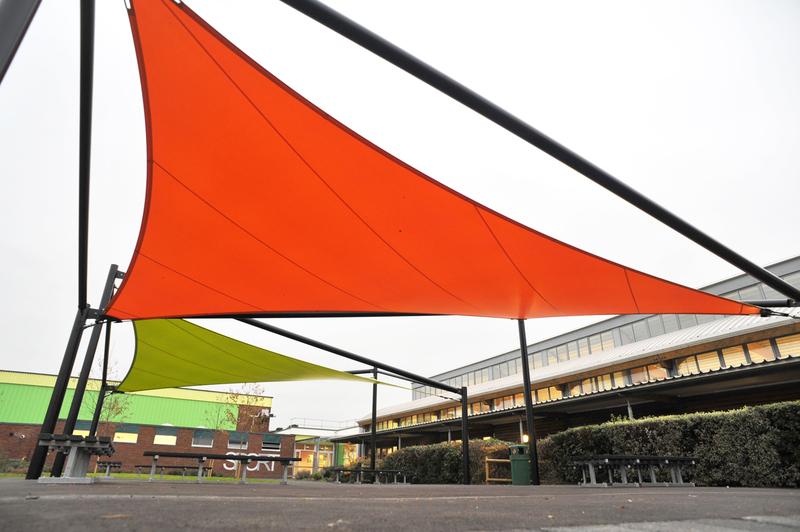 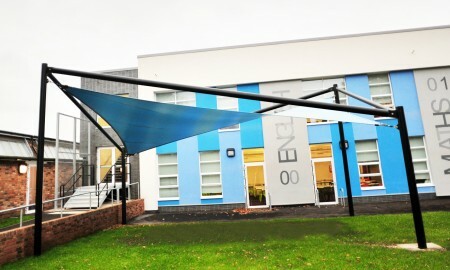 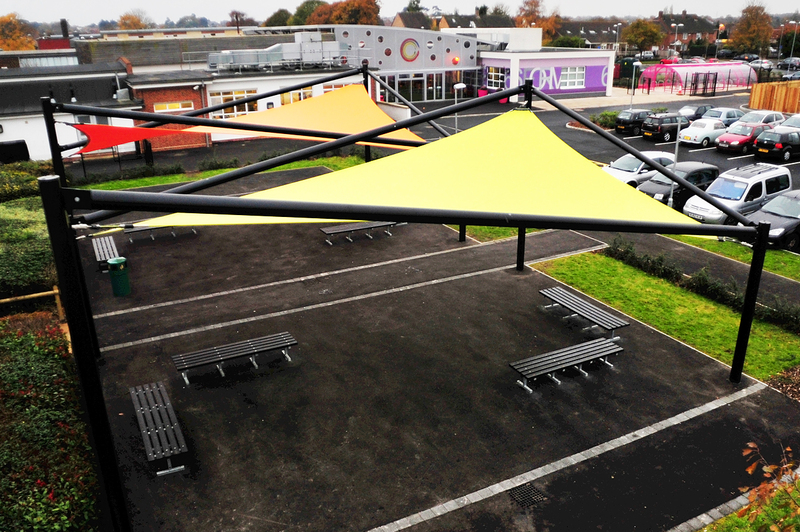 The Keep It Kool division of Broxap provided four Cairns perimeter beam waterproof shade sails, a barrel vault entrance canopy and a large bespoke waterproof tensile canopy. 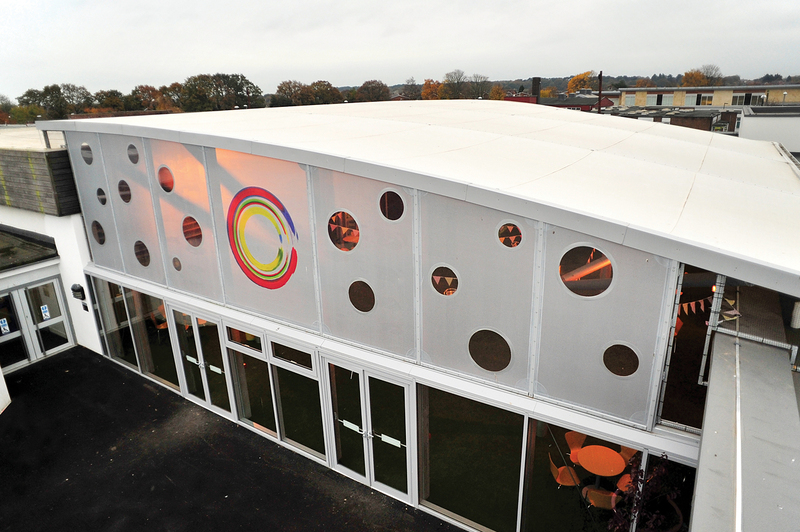 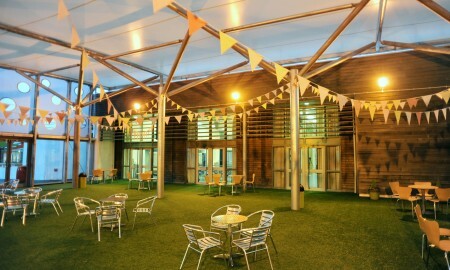 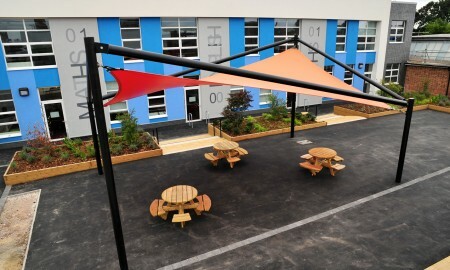 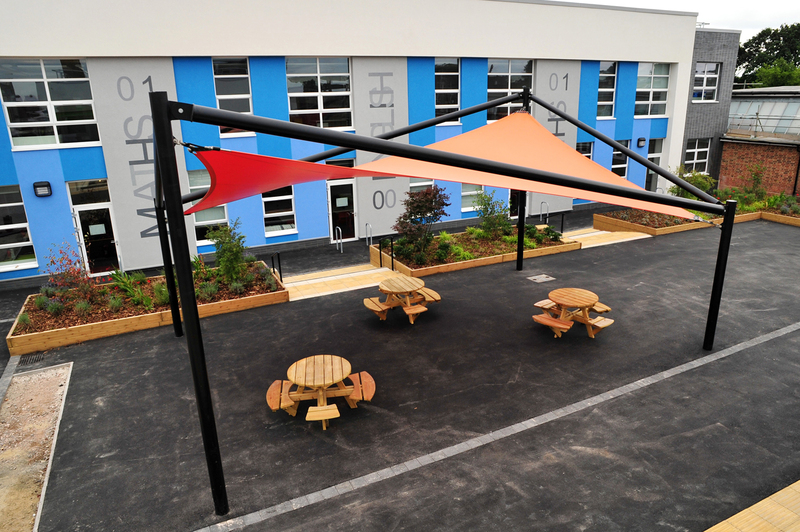 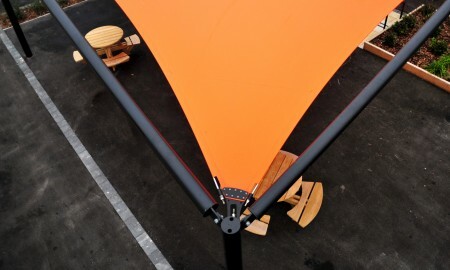 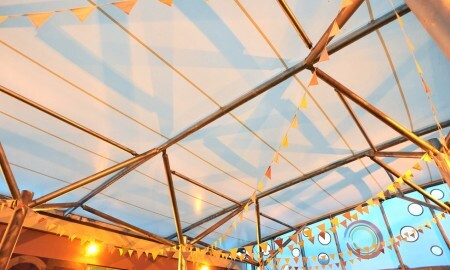 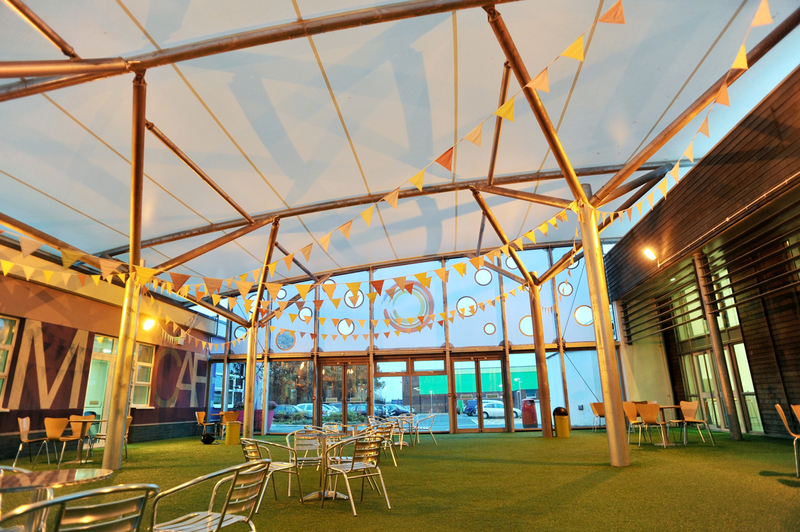 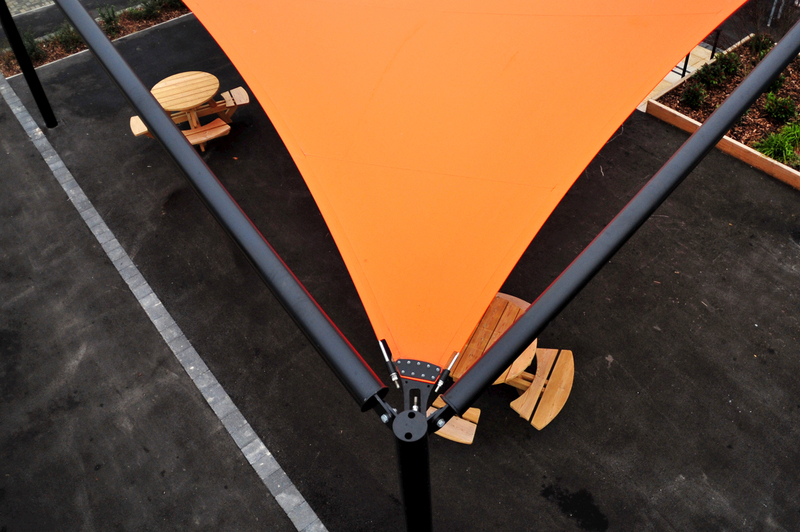 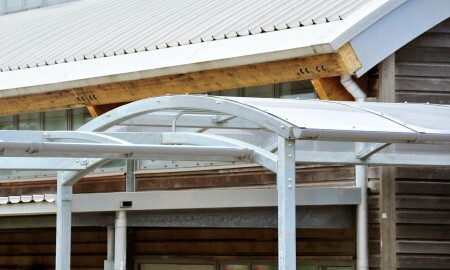 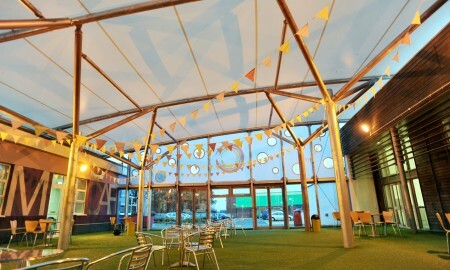 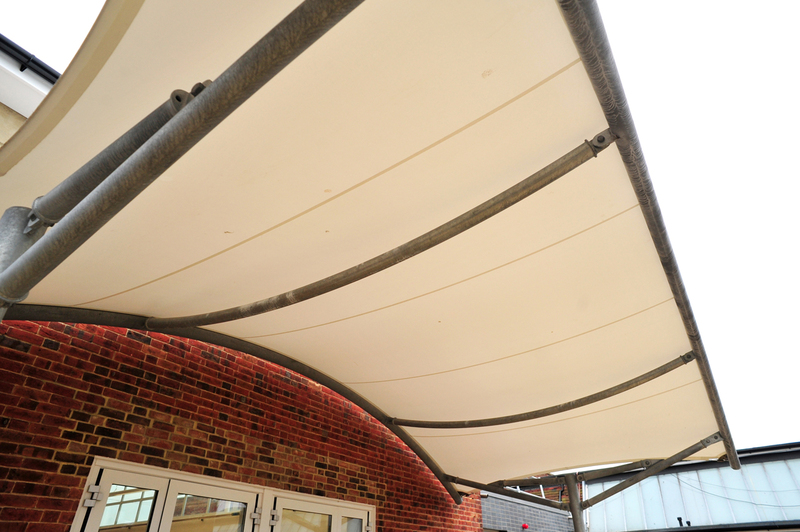 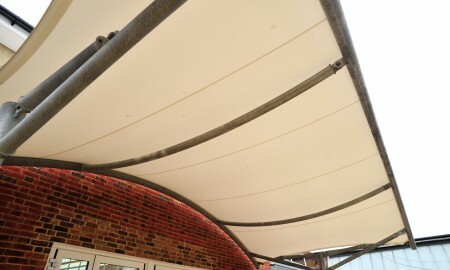 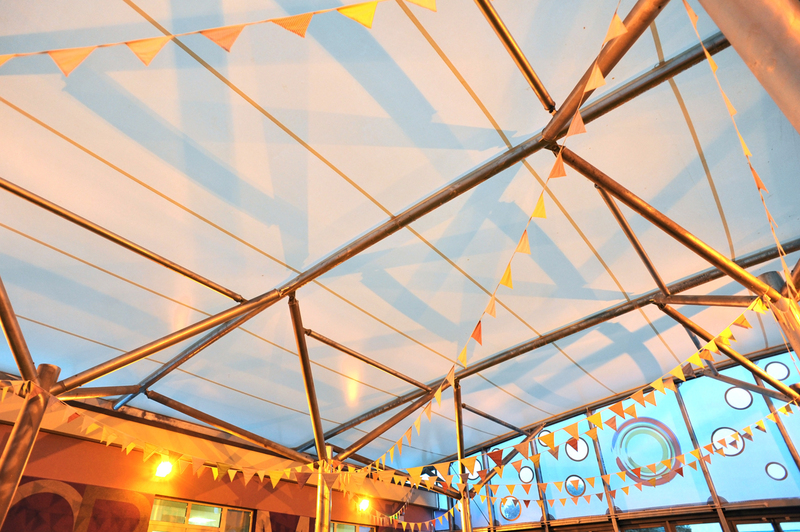 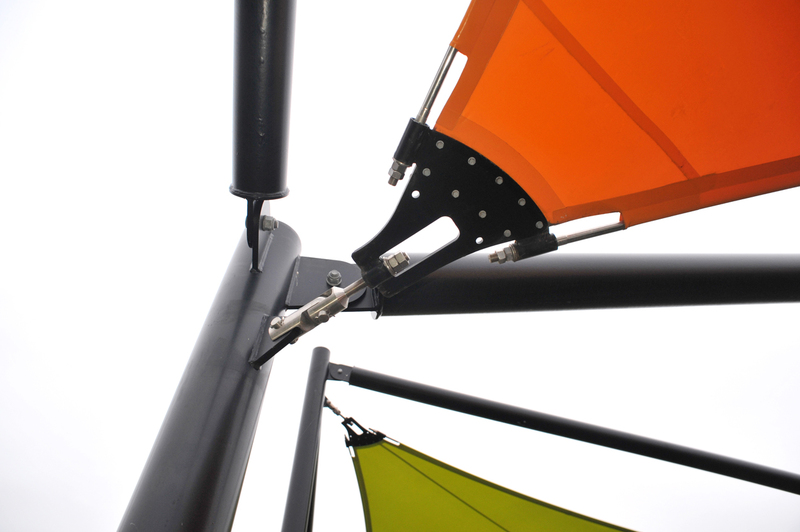 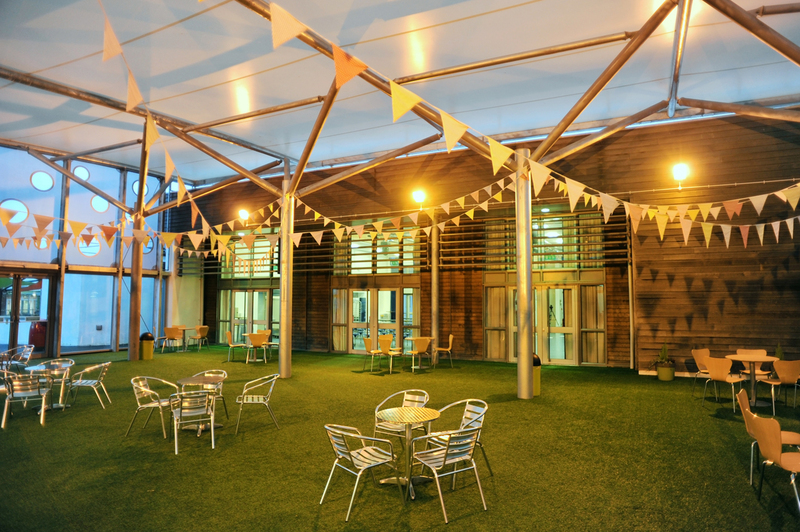 The bespoke canopy spans an enclosed central eating and socialising area, which is laid with artificial grass. 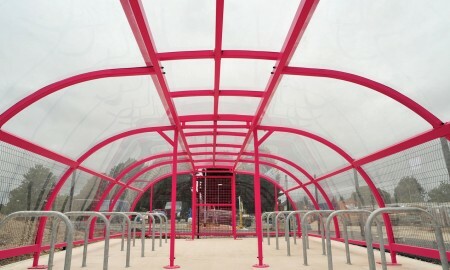 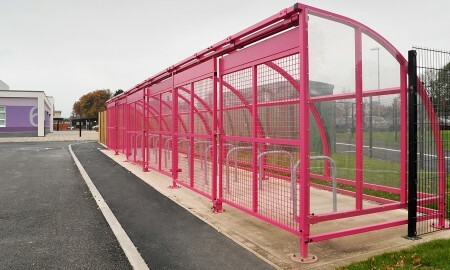 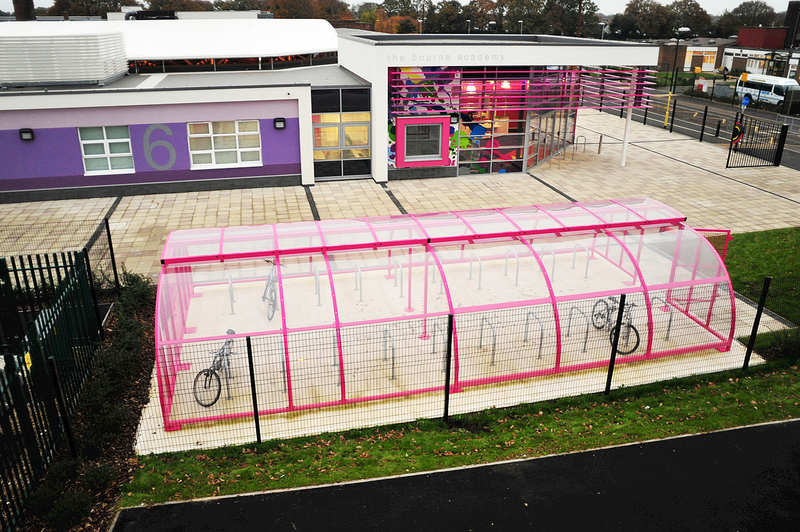 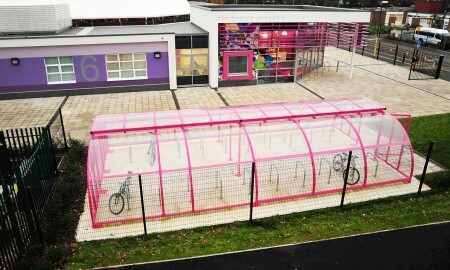 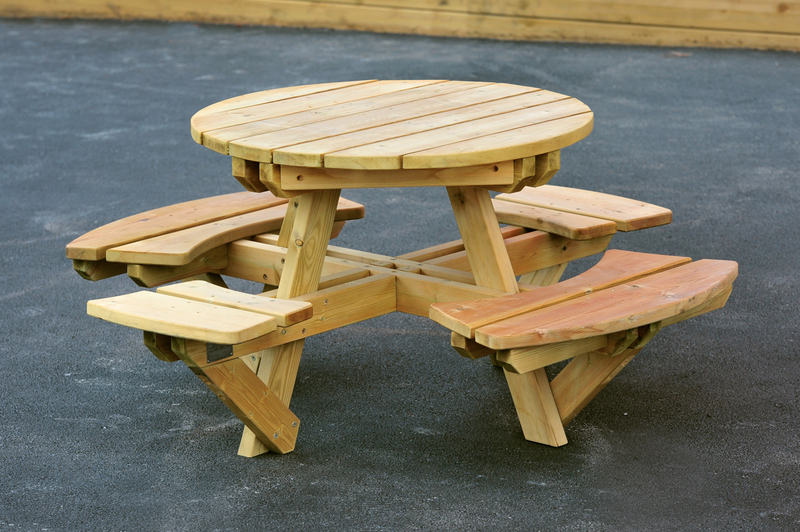 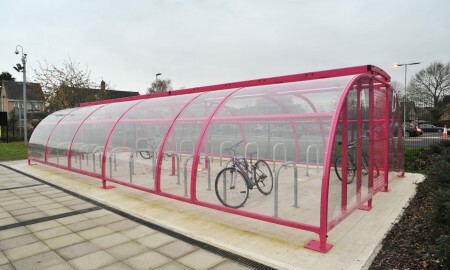 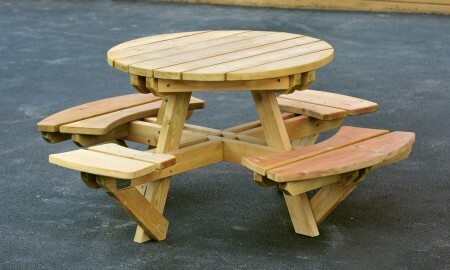 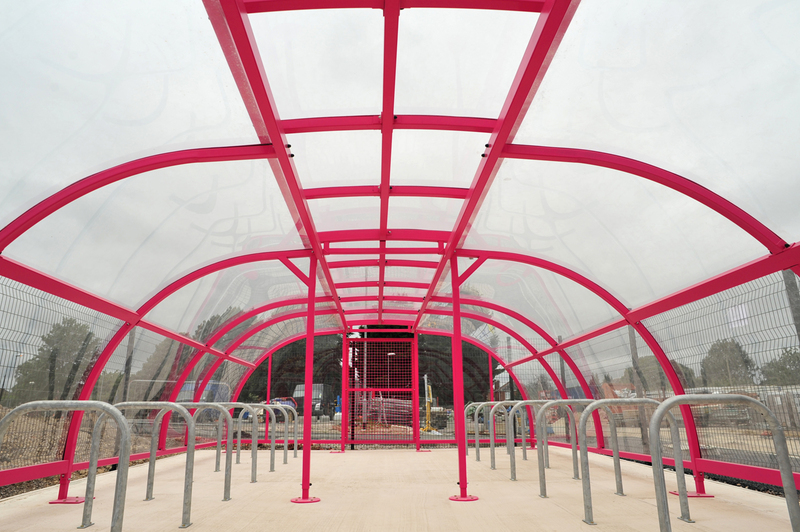 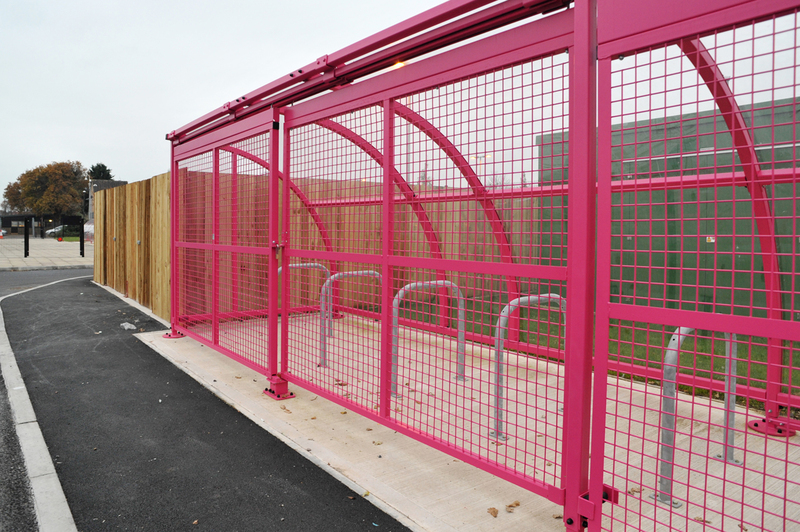 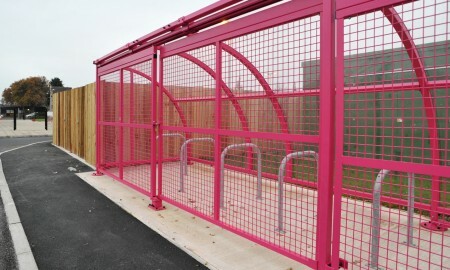 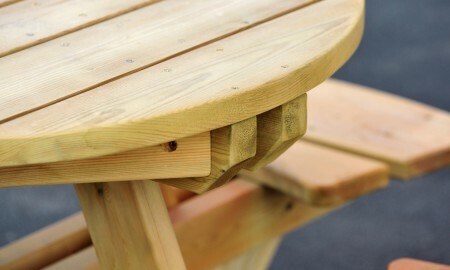 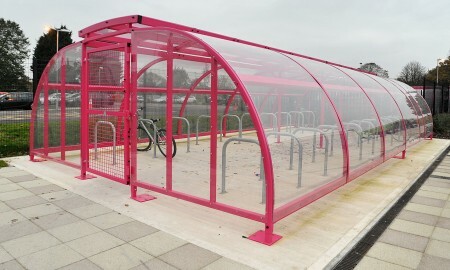 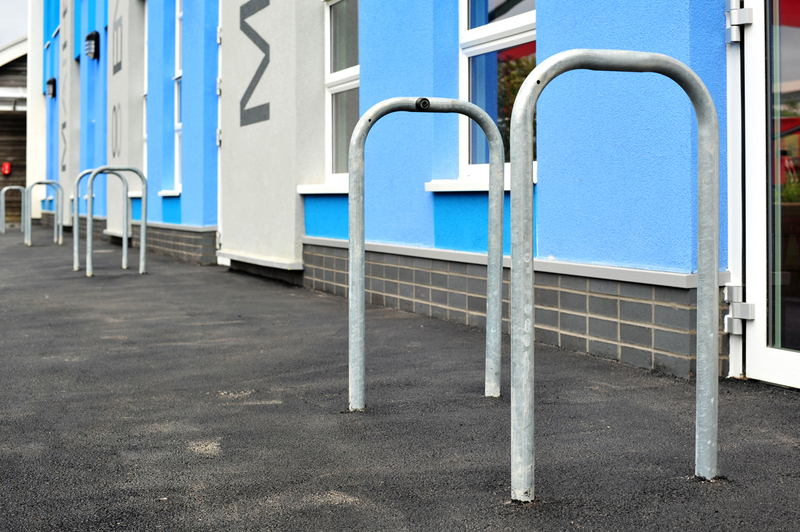 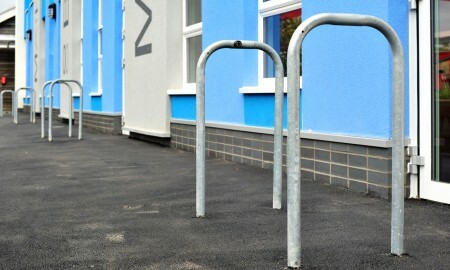 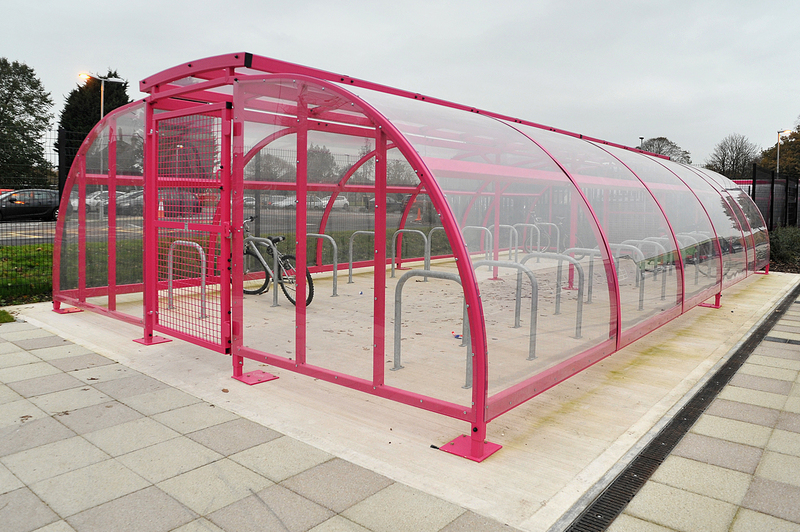 Other products supplied were Wardale cycle shelters, Wardale cycle compounds, picnic units, seating, barriers and planters.